"The polish of the Benyounes Quartet was new... they already seem seasoned veterans with their tight ensemble and confident projecton." In 2012 we were featured in the film ‘Benjamin Britten- Peace and Conflict’ where we performed an extract from the magnificent Passacaglia from Britten’s String Quartet no.2. Written, produced and directed by Tony Britten and released by Capriol Films, this drama documentary for cinema explores the pacifism that was such a powerful influence on composer Benjamin Britten’s life and work. “The first performance of Britten’s second string quartet – an important post script to his ‘Peter Grimes’ was given in 1945 by the all female Zorian String Quartet. It was a great coup for Capriol Films to be able to mirror that performance by featuring the Zorian’s rightful successors, the Benyounes Quartet in Peace and Conflict” Tony Britten, director. In this clip, Anita Lasker Wallfisch recounts her experiences at Auschwitz and of seeing Benjamin Britten and Yehudi Menuhin play at Belsen shortly after the liberation. Click here to see video. This year we were featured in the film ‘Benjamin Britten- Peace and Conflict’ playing an extract from Britten String Quartet no.2. Written, produced and directed by Tony Britten and released by Capriol Films, the film tells the story of the pacifism which was at the core of Britten’s life and work. 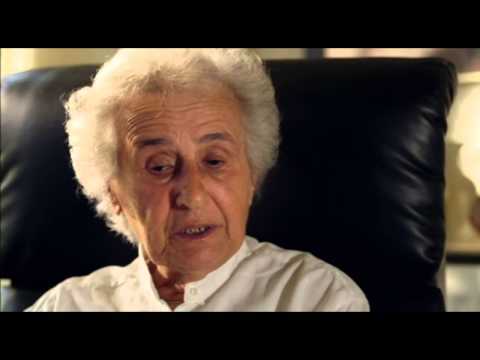 In this clip, Anita Lasker Wallfisch recounts her experiences at Auschwitz and of seeing Benjamin Britten and Yehudi Menuhin play at Belsen shortly after the liberation.